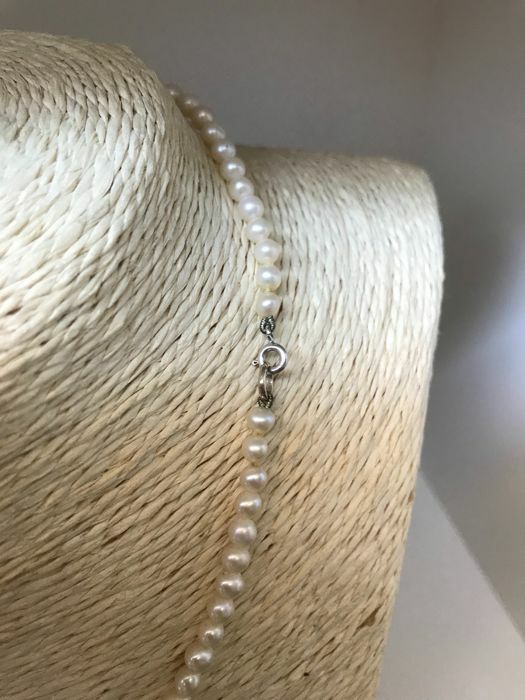 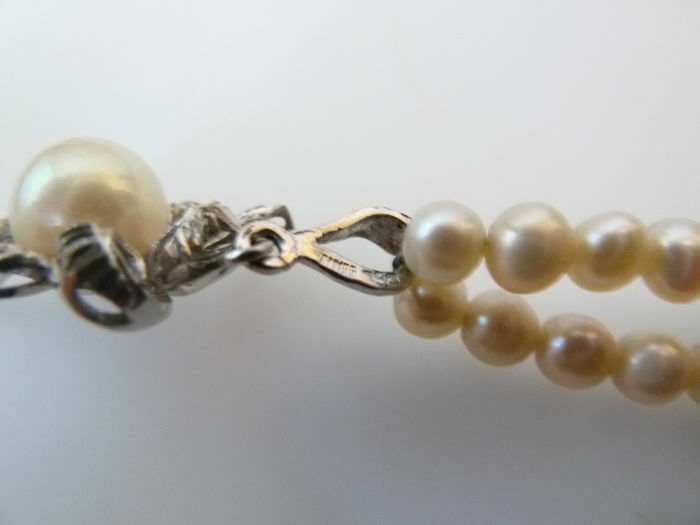 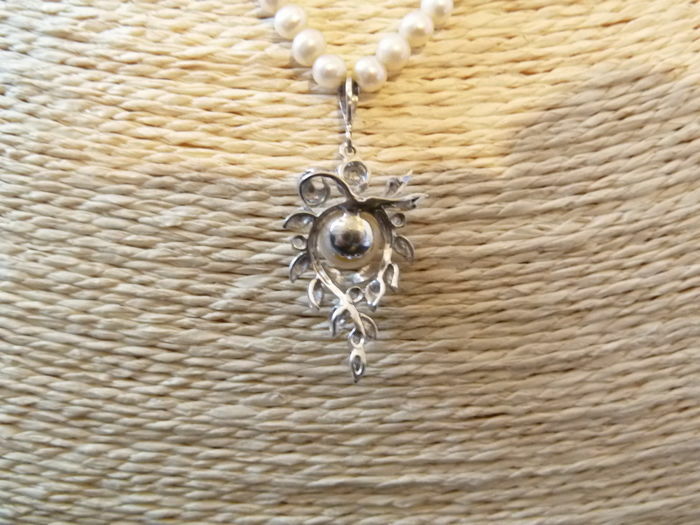 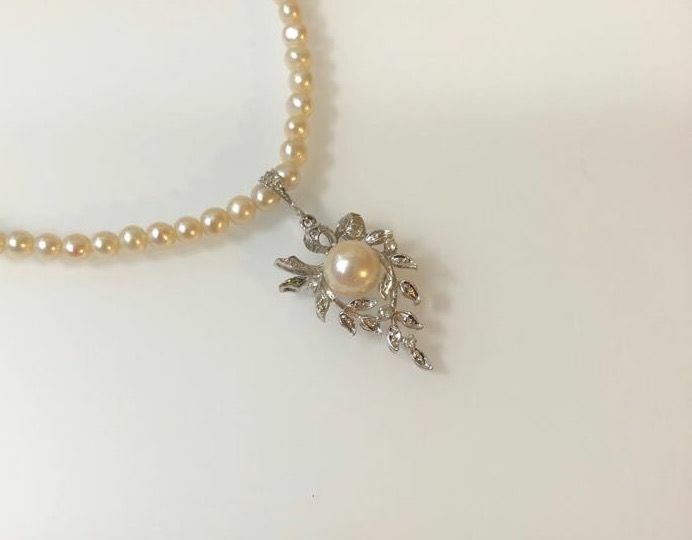 Antique necklace made of fresh water pearl measuring 5 mm, with 18 kt gold pendant. 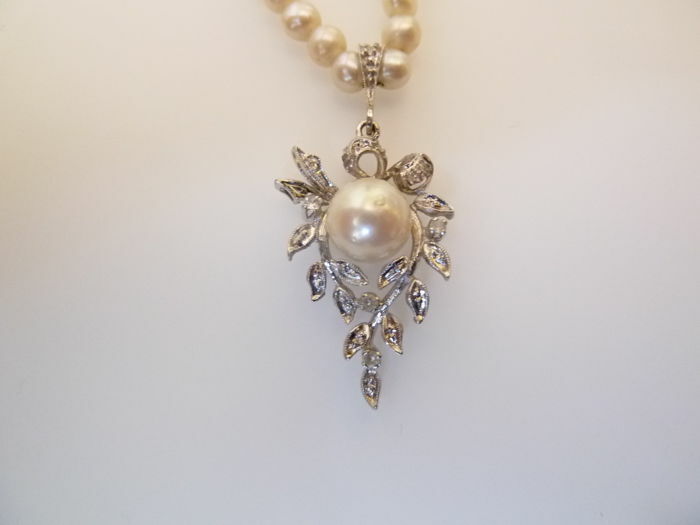 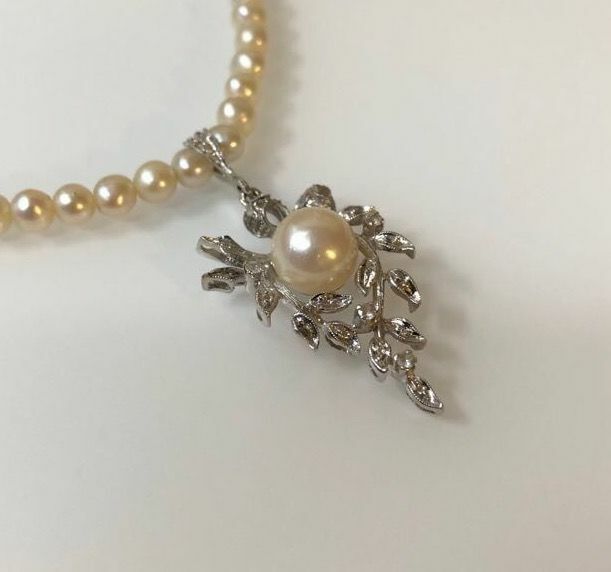 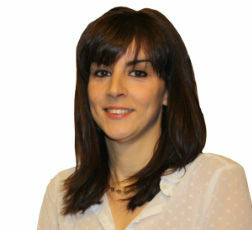 The pendant is in a leaf shape with pearl from the Sea of Japan, measuring 7/7.5 mm with 4 diamonds, 0.12 ct in total. 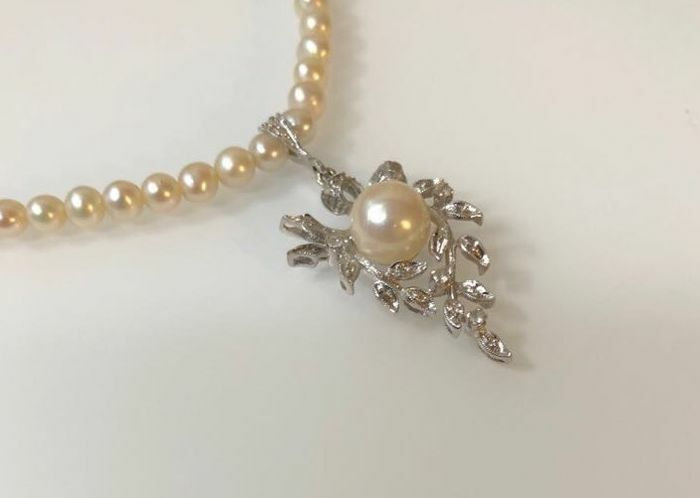 Note the meticulous detailing of the little leaves surrounding the pearl, with the pearl being enclosed by a leafy nest made up of diamonds.